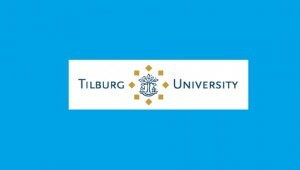 Tilburg Law and Economics Center (TILEC) and the Governance and Regulation Chair (GovReg) at University Paris-Dauphine, PSL Research University, are organizing Workshop on Economic Governance of Data-driven Markets: Understanding and shaping the economic, social, legal, and political effects of datafication, to take place Oct. 12-13, 2017. The submission deadline (papers preferred) is May 14, 2017. What types of markets are affected most by the rise of big data and algorithms, and what is the defining element of these markets? How is the competitive process influenced by datafication? Would algorithms be able to oversee the competitive process? How may opinions and beliefs be shaped by algorithms and data-driven processes? Does the answer to this question have implications for the future of democracy, rule of law, collective governance capabilities, openness of (economic and political) competition? Can the postulated negative effects on data-driven markets that were advanced by theoretical research be substantiated empirically?